It’s a fact of life that institutions care more about preserving order than bringing justice. This is playing out before our eyes on matters that are far more important than AFC Wimbledon’s current troubles with the English Football League, but the dynamic is similar. It creates situations where a victim of harm or injustice who draws attention to their tormentors is often punished more severely than the tormentors themselves. We’ve previously delved into the history of the club, but here’s a quick refresher: Wimbledon FC was founded in 1889 and spent most of its existence playing in southwest London. But the dawn of the Premier League era was not kind to Wimbledon, succumbing to pressure to sell their best players and eventually abandoning their home in SW19 to groundshare with Crystal Palace. 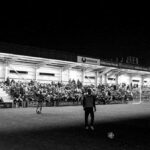 Toward the end of the 1990s the owners were talking about moving the club outside of London, with Milton Keynes— a banal suburb 60 miles north— floated as a possible new home. While a professional sports team moving to a new city is an all-too-common occurrence in American sports (in memoriam: the Brooklyn Dodgers, the Baltimore Colts, the Seattle Supersonics, et al) it was all but unheard of in England, where football clubs have historically been seen as civic institutions. (Why would you move a neighborhood library to an entirely different town? Just build a new library.) But in the Premier League era, football clubs became less like community assets and more like large corporations. 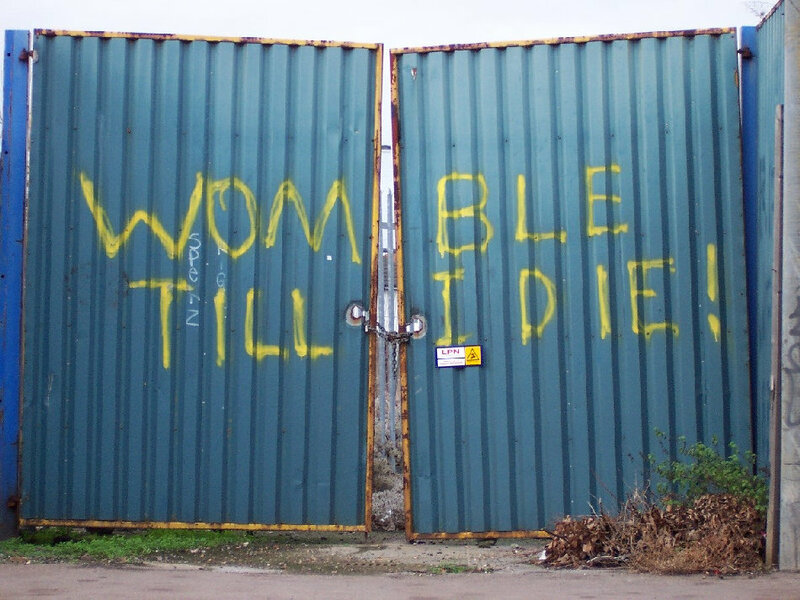 In a move that seemed shocking at the time, but inevitable in hindsight, the Football Association granted the owners of Wimbledon FC special dispensation to move the team out of the community that it called home for over a century. (They then implemented new guidelines to make sure something like this never happens again.) Wimbledon FC moved to Milton Keynes for the 2003-04 season, and the following year had rebranded as Milton Keynes Dons, taking the “Dons” moniker as a way lay claim to a history that some felt they had no right to. Wimbledon fans, wholly unwilling to follow the team to an entirely different part of the country, decided to start over. They founded AFC Wimbledon the summer the move became official and began playing in the ninth tier of English football. And then something funny happened: they kept getting promoted. Less than a decade after those first tryouts on Wimbledon Common, the (Real) Dons defeated Luton Town on penalties in a promotion playoff and booked their “return” to the Football League. This presented something of a problem for the club and the fans. To call AFC Wimbledon-MK Dons a rivalry is a misunderstanding at best and an insult at worst. AFC Wimbledon fans are loathe to call Milton Keynes a rival because they feel it lends them a degree of legitimacy that they don’t really deserve. For their part, the club has been cold but civil toward Milton Keynes, though club directors have thus far declined invitations for hospitality at games hosted at Stadium MK. Radio WDON, the volunteer fan broadcast team that produces live radio coverage of every AFCW game, has a long-standing policy of only calling the action when Wimbledon are on the ball. When Milton Keynes are in possession, the commentators talk about something else. Anything else. In short, Wimbledon tries to cope with a deeply uncomfortable situation by trying, as much as they can, to pretend that MK Dons doesn’t exist. For the most part, this conspicuous cold-shouldering has garnered little more than a disinterested shrug from neutral observers. But now the Football League has decided to make this into a Thing. Last month, Wimbledon hosted Milton Keynes in their first league clash of the season. (The visitors ultimately triumphed 0-2.) The scoreboard at Kingsmeadow Stadium identified the visiting opposition as “MK.” Matchday programmes sold at the ground did not identify the day’s opponents at all. In the days following the match, the EFL announced that they were launching an investigation into AFC Wimbledon’s conduct on those grounds. Per a league spokesman, the EFL reportedly reached out to Wimbledon in the days leading up to the match to “seek assurances” that they would treat the opposition with respect and not pull any shenanigans. The scoreboard and the programmes, apparently, constitute a breach of whatever agreement the league and the club reached. And now they want the club to explain themselves. In explaining this possible disciplinary action, the EFL said, essentially, that two wrongs don’t make a right. I talked to Ryan Bailey, a longtime Wimbledon supporter and broadcast journalist (and, full disclosure, a contributor to Howler and a co-host of our Dirty Tackle podcast) and asked what he made of all this. His take is, essentially, not attributing to malice what is likely better explained by ignorance. “I get that the EFL don’t want teams to disrespect each other in general, but feel that they need to exercise some nuance in this case,” Bailey said. “This isn’t a big rivalry between sides that hate each other—it’s a different beast and a very emotive issue. “Their complaint was that failing to acknowledge the name of the club ‘causes reputational issues for the EFL.’ Well, the governing bodies of the English game already gave themselves a pretty serious repetitional issue when they let the Milton Keynes team come into existence! Bailey, who’s also a member of The Dons Trust and is thus a part-owner, also told me that AFC Wimbledon has a fraught relationship with English Football at the institutional level. Perhaps understandably so. “The FA allowed our club to be sold down the river and franchised—something that had never happened and never will again,” said Bailey. “They handed the decision to a three-man arbitration panel once they had initially refused the request—so essentially, they tried to eschew blame while bowing to the wonts of businessmen. Speaking of the FA, there’s an anecdote from the 2002 ordeal that’s perhaps relevant to this discussion. As it became clear that the three-person panel tasked with deciding Wimbledon FC’s fate was going against the fans, the faint murmurs of a new club— what would ultimately become AFC Wimbledon— began to grow louder. By the time the panel issued their decision, this nascent movement had garnered enough attention that it was referenced in the commission report, suggesting that the fans’ efforts to found a new club in the community was “not in the wider interests of football.” That phrase has since become a rallying cry for Wimbledon supporters; it captures the original grievance, their ultimate triumph by way of returning to the Football League, and their continued conflict with the institutions of English football. In a sense, their current spat with the EFL is of a piece with that initial sodding off at the FA. AFC Wimbledon fans feel hard done twice over: first, by having their club taken away from them in the first place, and second, by the expectation from football’s governing bodies to be polite about the whole thing. To take it with good cheer and a stiff upper lip. To just get over it, already. At no point do these institutions express interest in meaningfully grappling with their decisions, either 15 years ago or right now. The FA and the EFL did irrevocable harm, not just to a set of fans and a community, but to English football as a whole. There has been no “franchising” since the Milton Keynes move, and there likely won’t be another one within our lifetimes, but what happened in 2002 cannot be undone. Not only will English football as an institution never come to terms with what happen, they also insist that everyone else sweep it under the rug as well. Even, especially, those who were most affected by it. And while the stakes are very low compared to just about anything you’ll read in the news these days, this, in some small way, illustrates the brutality of institutional violence. Organizations with power make decisions that harm real people, and then refuse to accept any accountability for what happens. (You can’t put The Football Association on trial, after all.) The institution evades and deflects and stonewalls for months. Years. Centuries, even. And when any initiative to seek reconciliation gains steam, the institution can hide behind the passage of time. It was such a long time ago, a spokesperson or a pundit will say. Let it go, the editorial will read. All the while, appeals to civility and reason are made to deride and gaslight those affected by their decisions. To shift any debate over institutional accountability to their terms. We will listen to your concerns, a man in a suit will intone from behind an old oak table, but you must first watch your tone. Be reasonable. Be polite. Have a sense of decorum. You’d be surprised how effectively decorum can be deployed to keep old wounds open.